ST. LOUIS, Mo. 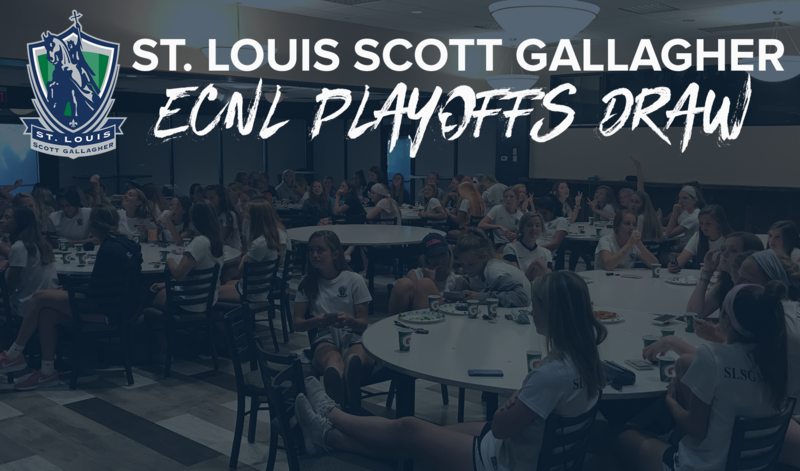 – The St. Louis Scott Gallagher ECNL program found out their opponents for the ECNL National Playoffs and ECNL National Finals tonight during the ECNL Playoff Draw event. The ECNL National Playoffs & Finals will take place from June 21-26 at 60 Acres Park in Seattle, Washington. The ECNL National Playoffs are comprised of the top 32 clubs in the country at the U14-U17 age groups while the ECNL National Finals is comprised of the top 16 clubs in the country at the U18/19 level. Of the seven SLSG teams competing in the ECNL National Finals between SLSG MO and SLSG IL, four of them were #1 seeds in their group with the U18/19 team being ranked #1 in the entire country. "We are extremely excited to have qualified for the ECNL Playoffs Finals for the first time in SLSG IL history, let alone having two teams with the U14 and U19 girls qualifying," said SLSG IL ECNL Director Laura Ridolfi. "We are looking forward to taking all our girls teams that have qualified in some capacity to Seattle and competing at the top level."